There are a lot of things you have to keep track of in college. Your nightly reading list. Due dates for big papers. Group projects. Remembering to call your family. It can quickly become overwhelming, and that’s not even taking into consideration fun things like intramural games, study groups, and date nights. The good news? There are a lot of really helpful apps that can help you stay on top of everything going on in your life. Here are just five suggestions for ones to check out before school starts next month! If you aren’t already using Google Drive, you’re missing out! Files saved in Drive can be accessed from your phone, tablet, or computer; whether the files are from Google Suite programs like Google Docs, Google Sheets, or Google Slides, or photos, videos, and PDFs. You can also share your documents with other people, which can come in handy if there’s a group project you need to collaborate on for one of your classes. Also helpful? Since you can log in and access your files just about anywhere, if you forget to upload your homework to Canvas or need to print it, you can always run to the PUC library and print your file in an emergency! Yes, another recommended Google app! 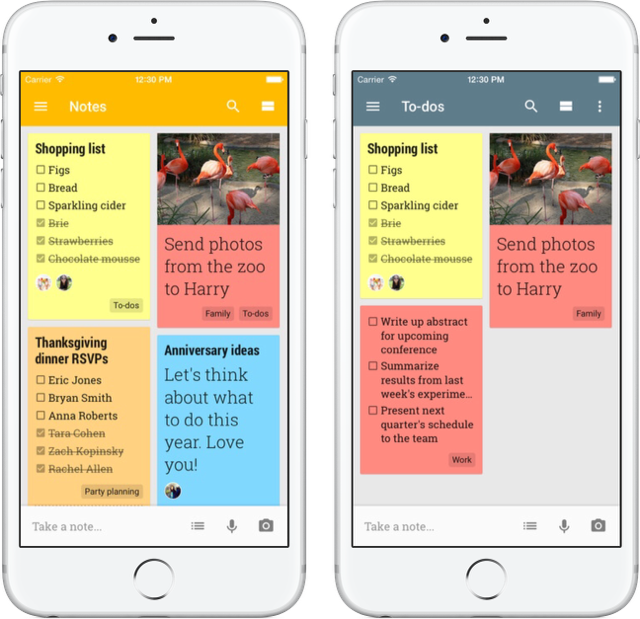 One of the lesser-known Google Suite programs, Google Keep is essential for keeping yourself organized. You can create to-do lists, notes, and set important reminders all within the app, and for those of you who love to be extra organized, you can color code and categorize things to your heart’s content too. It’s a Type A person’s dream! One super cool feature is you can share your notes and lists with other people, meaning you can share things like a grocery list with your roommate, notes with a classmate, etc. Genius Scan is a scanner in your pocket. It allows you to quickly scan and email yourself JPEG or PDF documents. You can even create multi-page PDF documents, which can come in handy more often than you might think! Want to give the app a try? After you’ve finished completing your health forms, why not scan and email them to Health Services. Visit puc.edu/alreadyaccepted for more information! Unfortunately, money doesn’t grow on trees in the PUC forest, so it’s a good idea to use Mint for managing your finances. 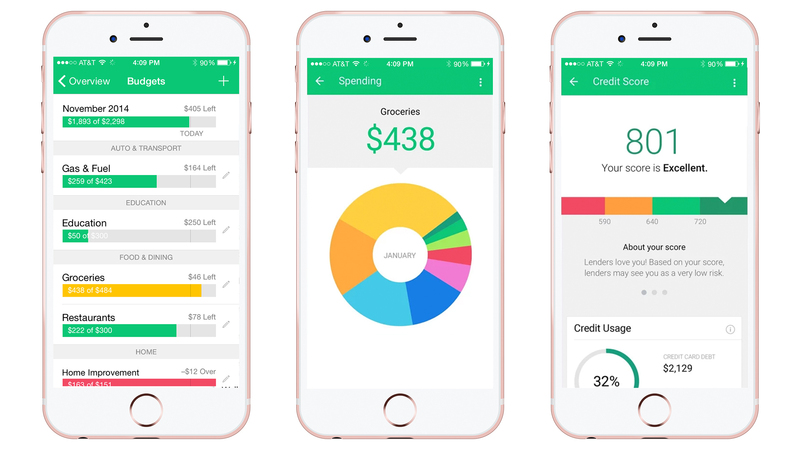 With this app, you can create a budget you can stick to and watch your spending habits. You can also keep an eye on upcoming bills and make sure they’re paid on time. For college students with limited income, Mint can help ease your fears about your money. Of course, we had to promote our own app! There are many reasons why you should download the PUC app, but probably the most important one is you can check out the cafe menu to see what’s for lunch. Check out our “Five Reasons You Need the PUC Mobile App” blog post to learn more! Eventually, you will 3find the right apps that work for you so don’t be afraid to try new things! The more organized you are, the less stressed you will feel, and hopefully both of those things will result in helping you be more successful. With the school year quickly approaching, we thought it would be a great time to ask some of our faculty and staff what their advice for new students would be. Below are 10 pieces of advice to help make your time at PUC some of the best years ever. Still feeling nervous about starting college? Take a look at our “10 Tips for Your First Quarter at PUC” blog post to help make the transition from high school to college as smooth as possible. We’ll See You in a Few Weeks! With New Student Orientation just around the corner, we hope your packing and planning is well underway. Get ready for your best year yet! For more information, visit the PUC calendar. Working on-campus can be a great way to put money towards your school bill, and give you some extra cash for weekend fun. If you’re wondering about how you can find work at PUC, look no further—read our “How to Get a Student Job at PUC” blog post for some helpful tips. Did you know you can buy or rent your textbooks from the PUC Bookstore? You can even have them available for pick-up ahead of time! Go to puc.bncollege.com to learn more. 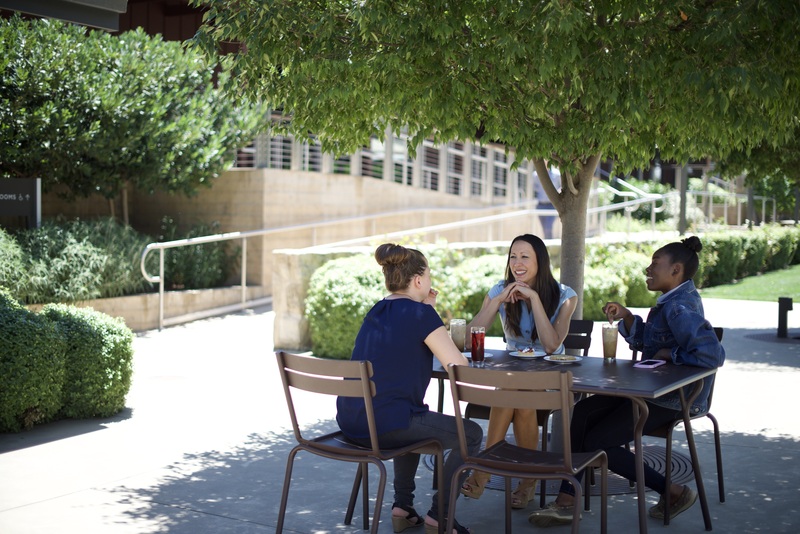 Pro tip: Take a look at our “Great Places to Study on PUC’s Campus” blog post for a look at some of the study space options at PUC, and find your ideal place. We know college can seem daunting, especially coming in as a freshman, which is why we’ve put together a helpful blog post to help make the transition from high school to college as smooth as possible. Check out “10 Tips for Your First Quarter at PUC” now! If you haven’t already, join the Class of 2022 Facebook group. Be a step ahead of the game and know a classmate or two before school even starts. Call (800) 862-7080, option 2 or email enroll@puc.edu to get in touch with an enrollment counselor now. We’ll see you September 19! Welcome to life in NorCal, where the climate is quick to change, and you can easily straddle the line between being active in nature while still enjoying all the benefits of the culture and sites of city life. You’ll want to be prepared for everything, and you’ll want to look good doing it! Here is a list of ten items we think will help make your years here in Northern California that much better. Perhaps the most essential item on this list, it’s imperative that you have a good coat to help get you through the winter months in Northern California. You should consider investing in a waterproof jacket too, for those rainy or misty days. Staff Pick: The quality of North Face is simply unbeatable. Having the right shoes is so important since you’re on your feet a lot, walking to class, around town, in the city, or out in nature. Whether it be a great sandal, cool sneakers, classic running shoes, or boots for various weather, remember comfort is key. If you know you’re going to be on your feet a lot (like if you’re a nursing student! ), consider getting Dr. Scholl’s insoles for your shoes. Staff Pick: For both guys and gals, Converse are great for everyday wear, and Reef sandals are a perfect on-the-go sandal option. While scientists have debunked the old wives’ tale that 50% of your body heat is lost through your head, you can still lose heat by having your head uncovered. It’s a good idea to have a nice, thick beanie you can grab when Karl the Fog starts rolling in. Staff Pick: North Face also makes great beanies, or you can pick up a cheap one from Target. Whether you’re mountain biking in PUC’s forested Back 40 or sight-seeing in the city, you’ll want to have a pair of sunglasses nearby. Make sure you’re buying a pair that will block 100 percent of UV rays to keep your eyes protected. Staff Pick: Ray-Bans are a great investment (they’re unisex too!). Even if it’s an overcast day, remember to put on sunscreen! Up to 87 percent of the sun’s rays can penetrate through clouds, fog, and even mist, so sunscreen is something you’ll want to have on hand constantly. Staff Pick: Anything from Sun Bum Sunscreen (trust us, it’s worth it!). These days, a backpack is for so much more than carrying your textbooks around. You can pack one for the beach, for a museum day in the city, or for a concert on Treasure Island. Staff Pick: A bag from either Herschel Supply Co. or Fjallraven are both great options. Northern Californians are all about being green and being as environmentally friendly as possible, which is why many of us have reusable water bottles. Carrying one around can also help you reach your daily water intake needs! Staff Pick: If you can swing it, a Hydro Flask is a great investment; otherwise consider something from Klean Kanteen or Sip. Never be disconnected unless you want to be! There are plenty of reasons people love their cell phones: Talking to loved ones, browsing the internet, and keeping up-to-date on social media. You don’t need to worry about your battery percentage if you have a portable charger with you, so Instagram away and remember to tag @PUCNow in your campus photos for a chance to be reposted! Staff Pick: They’re a bit pricey, but Anker portable chargers are awesome. Keep a big blanket in the trunk of your car for unexpected beach trips and impromptu picnics at the park. You never know when you’ll end up at Goat Rock for a Sabbath afternoon or simply reading your biology textbook at Crane Park. Staff Pick: Anything from Tribe & True. 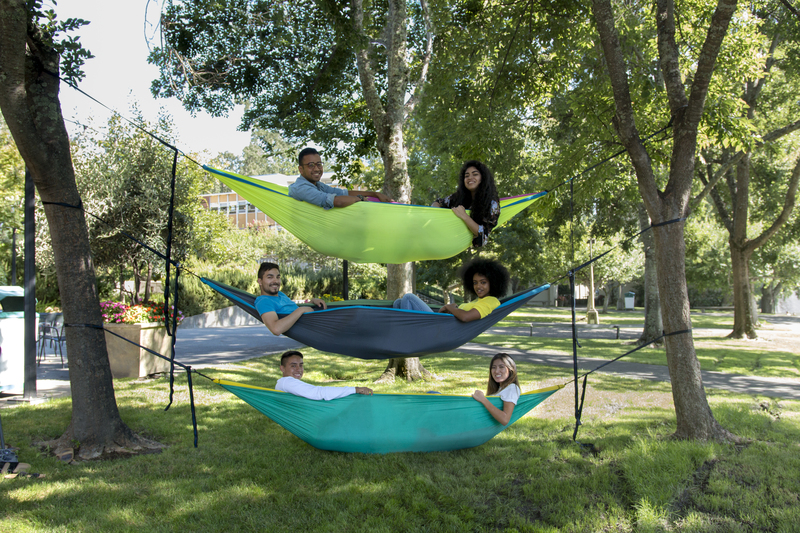 Hammocking is all the rage, and at any given time you’ll see students relaxing in hammocks all over campus here, even back in the PUC forest. If all the school hammocks are rented out, don’t miss out—bring your own! Then you’ll be set for relaxation anytime, anywhere! Staff Pick: ENO hammocks are portable and affordable. We love living in Northern California, and we know you’re going to love living here too. Get ready for your best year yet! Going from living with your family to living with a roommate you might not even know, in a residential hall, can be a big change. Luckily, your hall comes fully equipped with a resident assistant. Your RA is far more than just someone who checks you in every evening; they are there to offer advice, help you deal with homesickness, and become your friend. Each residential hall offers an array of activities from hall worships to movie nights which help foster the family feel that helps make PUC such a special place. Meet Sierra Driver and learn a little bit about life in a residence hall! Interested in learning more about being a resident assistant? Check out our “Meet the RAs of Andre Hall” blog post to get an idea of a day in the life of an RA. New Student Orientation Starts September 19! We hope you’re enjoying your summer so far! We’re getting ready for your arrival in just a few weeks, and we hope you’re just as excited as we are for the new school year. If you haven’t already, join the Class of 2022 Facebook group and start meeting your future classmates! It can be overwhelming to try to think about all the things you will need to have in your dorm room throughout the year, so that’s why we’ve put together this “Your College Packing List” blog post you can refer to as you start getting ready to move in just a few weeks. If you need some inspiration for how you can help make your dorm room the best on your hallway, check out the “Dorm Decorating on a Budget” and “Tips for an Organized Dorm Room” blog posts for some ideas to help get you started! We’ll be sending you regular updates over the next few weeks, so check your email regularly and be sure to come back here next week, or you can talk with your enrollment counselor if you have questions about anything. Call (800) 862-7080, option 2 or email enroll@puc.edu to get in touch with a counselor. Next week, we’ll share information about how to buy your books and how to find a student job at PUC, so don’t forget to check back in! 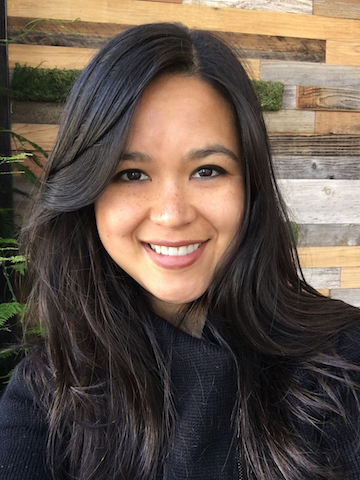 Now, Yoshimura works as a digital media associate in Stanford’s Office of University Communications, where she and her colleagues manage the university’s official social media channels and, individually, various units across the campus. Yoshimura handles digital media for the Center for Comparative Studies in Race and Ethnicity, and the Stanford Neurosciences Institute. “Regardless of the topic, sharing insightful research in a way audiences are most likely to connect with, and understand why it matters, is very fulfilling,” Yoshimura says. In this role, Yoshimura leads strategic and ad campaigns, produces Facebook Live interviews with faculty and students, live tweets events, manages social media communities, and more. One project Yoshimura particularly enjoyed managing was Stanford’s #MeetOurFaculty campaign. In it, she combined her interviews with faculty members with creative photography to highlight the personal stories that inspired them—and the diverse paths that brought them to teach and conduct research at one of world’s top universities. Yoshimura never imagined her own career path would bring her to Stanford. But what Yoshimura has realized from her career experiences as an assistant editor, freelance writer, and more, is that stories—listening to, writing, and sharing them—have been the driving force. PUC’s Honors Program was a chance for Yoshimura to examine—and rewrite—parts of her own story, including her beliefs and goals. If you ask Yoshimura what the PUC chapter of her life story looked like, she’d say it was a choose-your-own-adventure, undertaken with the motto: “I don’t know exactly what I want to do, but I’m going to try a bunch of things to figure it out.” The good news, she added, is in five years you can fit in a lot. What she most recommends to students now is, unsurprisingly, studying a year abroad. “Time spent in another culture, learning how to live vividly outside your comfort zone, is an empowering experience,” says Yoshimura. “The capacity you develop to adapt to and creatively resolve unfamiliar situations is invaluable. 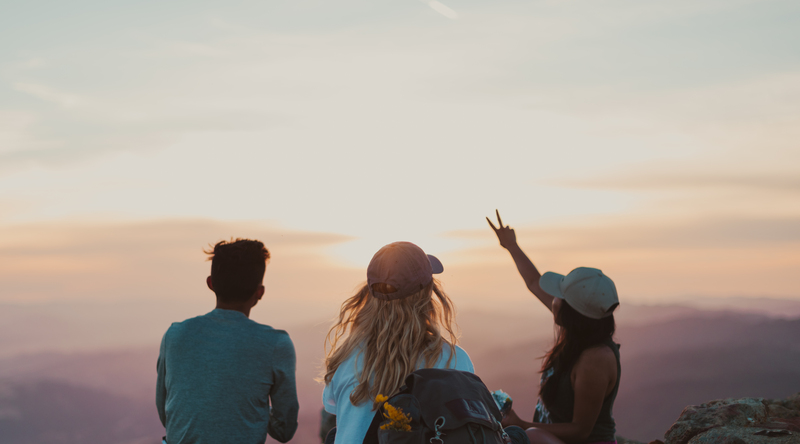 You can add so many new stories to this chapter of your life—and enjoy new opportunities to hear those of others.” And, Yoshimura added, conjugating the formal and informal varieties of verbs gets easier with practice.